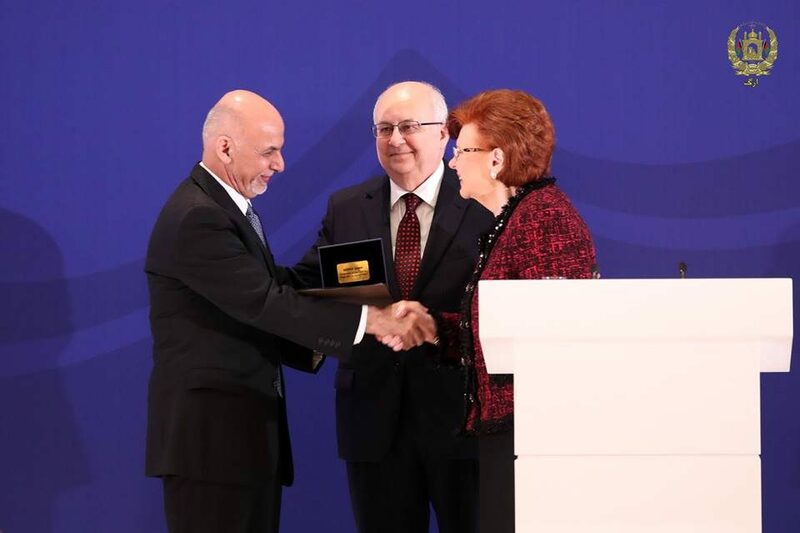 Speaking at the 7th Baku Global Forum in Azerbaijan the other day, President Ghani called for a new world order as the international order created in the mid-20th century was not responding to present day challenges and opportunities. As the history of Afghanistan in general and current conflicts in Afghanistan in particular show, it has the potential to either stabilize or destabilize the whole region. The region and strategic partners of Afghanistan have two options; either to support Afghanistan to overcome the current conflicts to ensure a stable region; or not to support Afghanistan and thus put the region at the verge of conflict and instability. Afghanistan has already initiated a number of mega projects to improve connectivity among the regional countries. Inauguration of the Lapis Lazuli road could be the example, where the Afghan products reached Europe via Turkmenistan, Azerbaijan and Georgia. Thus, President Ghani proposed a clear mechanism to be developed by the regional partners to end violence and ensure sustainable peace, creating positive dividends for not only Afghanistan but the entire region. Indeed, such a mechanism will ensure and will consolidate the regional cooperation as well. Indeed, there should be efforts both from the regional countries and the international community to engage in a world order and to change the circumstance in the region with taking firm steps in true sense. Eradication of terrorism should stand as the top priority matter and the real peace and stability should move the whole region towards a terrorism free zone, and make efforts for better governance, justice and rule of law as well as economic growth and connectivity. Afghans, as the peace loving nation, has always been favoring peace and stability for the region and eyeing bolstered economic and friendly ties among the countries of the nation and even that of the world. Therefore, to prevent terrorism threats that not to further deteriorate the situation and increase poverty and migration, it is important for the region to make collective efforts for the welfare of the people of the region in fight against terrorism and extremism. As per president Ghani’s remarks, a stable Afghanistan stabilizes the whole region and vice versa would also affect the security of the region and even the whole world.